Aromatherapy has seen a dramatic rise in popularity in the past few decades and even medical opinions are changing regarding this complimentary therapy. It is now widely accepted as a form of treatment for many disorders and sometimes simply for its ability to help us feel better.It is not however recommended to be used as a replacement for conventional medications, therapies or treatments and advice given by your doctor is based on many years of evidence and research. It should be used in conjunction with recognised medical practices if your doctor has stated that it is safe to do so. How Can It Help Lessen Anxiety? 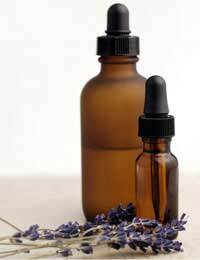 There are many preparations and aromatherapy treatments that can help lessen anxiety. In fact many manufactures now use this evidence as a way of marketing traditional products as plenty of bubble baths and lotions are now scented with lavender or other relaxing agents and sell well.One of the best ways to receive the benefits of aromatherapy is through massage. The oils can either be made up to be used as a topical lotion that is applied to the skin, or can be used with candles to allow the vapours to escape into the room where they can be freely inhaled. If you are due to fly and are already feeling anxious it may be worthwhile receiving some aromatherapy treatment in advance as this may help reduce tension in your muscles, help regulate sleep and lower stress which may help you cope better managing your fear and lessen the symptoms.Aromatherapy can also be used with the methods of applying a suitable oil to a handkerchief which can be taken on board the aircraft and inhaled when anxiety begins to increase. Be warned though that most airlines are very strict with fluids being taken on board the aircraft so you may be unable to take aromatherapy oils abroad with you so you may only feel the benefits on your outward bound journey and not on the return. No, it may not be safe for everyone to use as some preparations have been found to exacerbate certain conditions and some have the potential to interfere with prescription medications and even some over-the-counter drugs.Always ask your doctor, pharmacist or aromatherapist if you are concerned and always tell your aromatherapist or retailer selling the products if you have any existing medical conditions or are taking medications.There may also be contraindications for those who are pregnant or breast-feeding. Your GP or midwife will be able to find out if the type of aromatherapy you are using may pose a risk. The evidence surrounding aromatherapy as a recognised treatment is not compelling but those people who have tried the treatments find there are some benefits to health even if they are solely psychological.On the whole most preparations are safe for those taking no medications and have no medical conditions but care should still be taken to follow the directions and recommendation to avoid any problems.